Marathon training starts here with a 6am run.. I was gutted last Sunday morning when I woke up and realised that taking part in a Duathlon, even if I took my time and took it easy, would not be a very good idea. There's something particularly dispiriting about unpacking your race bag in the morning of an event I would think, especially with so much time out. But as the week went on, I was relieved that I did the sensible thing and took it easy in my first week back. I've now got 3 more short runs under my belt and things are starting to come together. My first long run is tomorrow. I should probably try to stick to 5 miles, but will see if my quads have relaxed a bit overnight. So, good news and good news. The first in the winter series of the Monikie Duathlon is tomorrow. I've been feeling progressively better all week, so decided on Thursday that if I could survive a short run beforehand I'd go along as originally planned, if only to stretch my legs at 60% effort. Feeling OK so far. Fingers crossed for the morning. Training for an endurance event is hard. 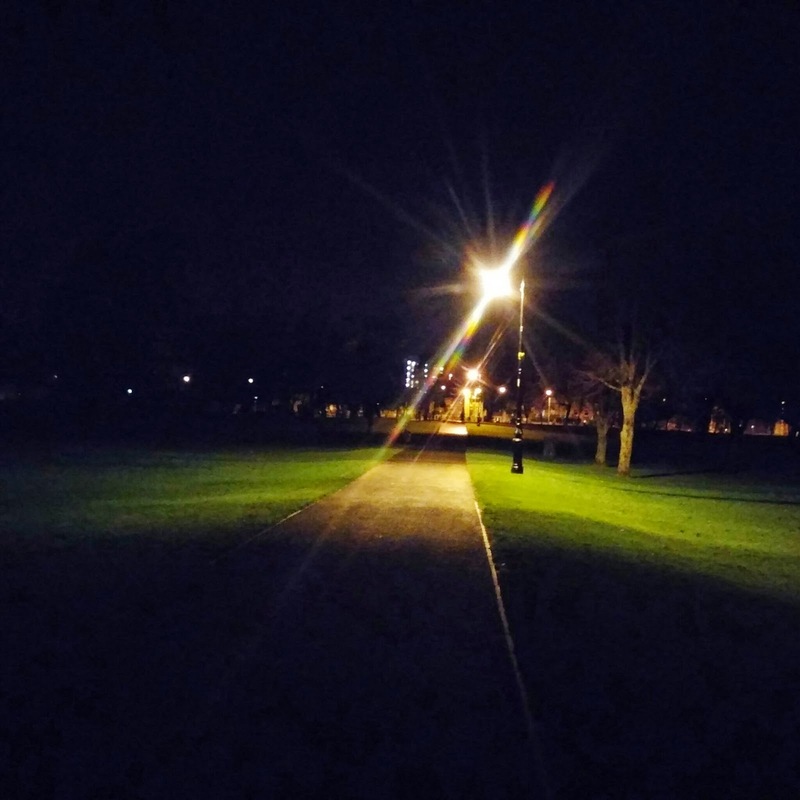 Up to train at the crack of dawn, away most Sunday mornings and the occasional hard slog of late night efforts after a hard day's work at the office all take their physical and mental toll on you over time. But what's even worse than training hard? Not being able to train at all. It's been three or four weeks since my last run or swim and I'm now chomping at the bit to get back on it. Plantar fasciitis (a sore foot to you) followed by a bad cold and a chesty cough have kept me indoors on these increasingly cold, increasingly dark and increasingly wet mornings, but I'm still raring to go. After one easy 17 mile cycle a fortnight ago put me in bed for 24 hours, two weeks before my second Duathlon of the winter I'm cautious about getting back in the saddle, but I reckon I'm 95% ready as things stand today. Roll on Sunday morning. I can't wait.